With more couples marrying later, and bringing debt, assets and entrenched money habits into the marriage, talking to a financial planner before tying the knot is much more important than picking out the right china pattern. It’s not just a question of who pays the bills, and whether to open a joint account. It extends to open disclosure about the money baggage each party is bringing into the marriage (including student debt, bad credit scores, and obligations to previous spouses some would rather forget). Attitudes are also important. We’ve seen couples fight about how much to spend (he says they need to be prudent, she says life is meant to enjoy), what to spend it on (he says a trip with the guys, she says on an expensive dining room table), and that’s only the beginning. It really gets ugly when one person uses money to control and dominate the other, or when careless and irresponsible money decisions – hidden from the other party – cause mutual financial ruin. There’s a good reason why money differences are a frequently cited cause of divorce. Talk it out. Surprisingly, most couples never talk about money until it’s too late. 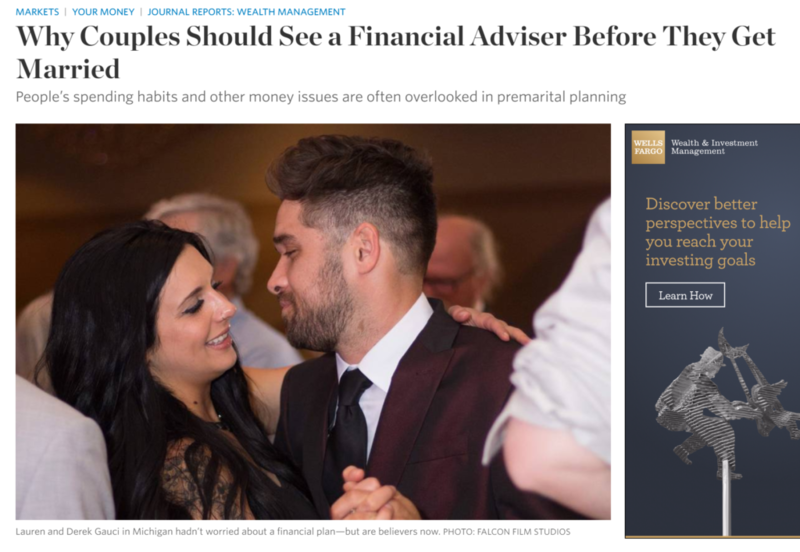 Tiffany Welka, a Michigan financial advisor interviewed by the Wall Street Journal, says 3 out of the 5 couples she counsels each week at her church haven’t talked about their finances previously. “They have no idea how much the other person spends or how much credit-card debt he or she is carrying—and they are surprised when the information comes out during discussions,” she says. Clarify expectations. When one person makes or has significantly more than the other, make sure to discuss expectations about who pays for what, and how much they are expected to contribute. There’s been a huge evolution in the number of high-earning women, especially among younger couples, and social and gender expectations (not to mention in-law attitudes!) haven’t always kept up with the changing reality. Do the numbers. Forget the generalities. Both parties need to be well briefed on the facts and figures. Who makes what, who owes what, who spends what. Too many couples embark on a life partnership without knowing who they are going into business with. So just like in business, start with a plan, a balance sheet, and an income statement. If that’s all Greek to you, ask your financial planner for help or look online for free personal finance templates. And then go pick out the china!